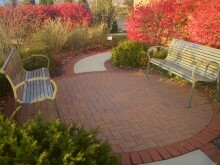 Engraved Brick Pavers offers a full range of services for your engraved brick and stone needs. Do you need just one brick or stone for your garden or pet memorial? You can call us 419 408 4129 to place an order. Laser etched photos can be engraved on granite or marble. We use the latest laser technology, which produces the highest quality images. Laser etched photographs can be used for a variety of occasions. These products have an optional stand. Contact us for more specific customization options and available sizes. We offer a variety of address block designs. The number coloring is typically black. There are different backgrounds, borders and fonts to choose from. Engraved pavers most common application is for use in fundraising projects. They are used by and for companies and organizations wanting to raise money. The pavers are engraved and used as commemorative icons. They can be set into existing pavements and walkways and hence remembered forever. Engraved pavers encourage people to donate, for they know that their contributions will be seen in a permanent form, for generations to come. Laser etched photos can be engraved on granite and marble. Family stones make the perfect, unique gift to present to your friends, family or loved one. Turn a "one of a kind" photograph into a "one of a kind for a lifetime"gift. Your laser etched gift will be treasured and remembered for years to come. Laser etching can take your digital images, photographs, company logo or any other graphic and permanently engrave it into natural stone. There are two methods of engraving: Laser Engraved or Sandblasted. To engrave highly detailed graphics and artistic text, the combination of computer and high power laser light is used. The intense laser light turns the engraved surface to a glass. The result is a very detailed image that is permanently a part of the paver. 4 x 8 laser engraved pavers can accomodate up to 3 lines of text and up to 20 characters/spaces or punctuation per line. 8 x 8 laser engraved pavers can accomodate uo to 6 lines of text and up to 20 characters/spaces or punctuation per line. After the product is sandblasted, a black color stain is applied to the cavity, which provides a contrasting background. 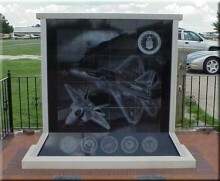 Most sandblasted projects are unique in the types of raw material used as well as the size of the material. Sandblasting can accommodate such materials as limestone, granite, clay pavers and concrete pavers. 4 x 8 sandblasted pavers can accomodate up to 3 lines of text and up to 14 characters/spaces or punctuation per line. 8 x 8 sandblasted pavers can accomodate up to 6 lines of text and up to 14 characters/spaces or punctuation per line. All sandblasted products are in capital letters. Many standard symbols are available for your engraved brick; logos and custom symbols can be created for a minimal charge.